Celebrate Darwin Day Out Loud! I just found out about a really cool project underway to celebrate Darwin Day, Feb. 12, this year. It is his 200th birthday (if he were alive … or undead) and the Center for Inquiry (CFI) has come up with a special way to celebrate. 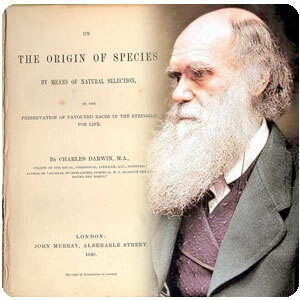 On Feb. 12, or within the next few weeks, people all over the world who love science and reason will shoot video of themselves reading from the last pages of The Origin of Species, DarwinÃ¢â‚¬â„¢s revolutionary book describing evolution. This event is called Darwin Aloud and it is currently seeking video from the people of all nations as they stand in front of well-known landmarks in their countries. They will collect all this video and assemble a short film honoring the father of evolution and his accomplishments. “We in the pro-science community want to make it clear that the whole world supports Darwin’s idea, regardless of background or location,” says James Underdown, Executive Director of CFI Los Angeles and creator of the project.